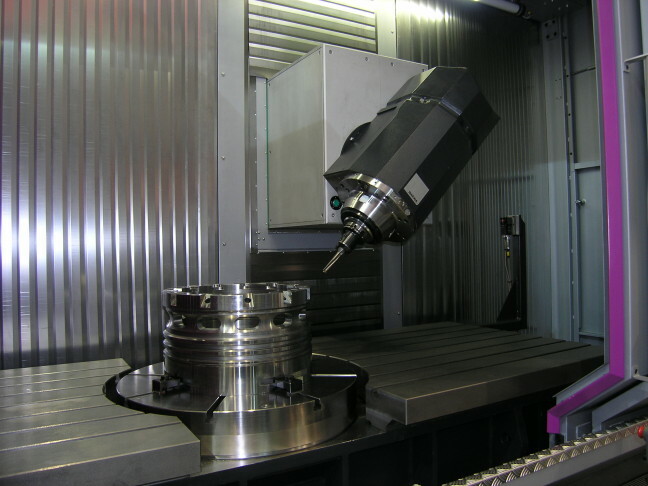 In 2001 Ibarmia decided to add the B axis or continuous tilting head to the valuable advantages of there machining centres of fixed table and moving column. They applied the most advanced technology in the market, transmission is by a torque motor installed on the rotating shaft and direct measuring on the axis. The result was extraordinary dynamics, automatic recovery after collisions and maximum precision in positioning and repeatability. The high torque motor allows the head to work as a live axis, as well as a breaking mechanism which can lock the axis during the most demanding of machining operations.